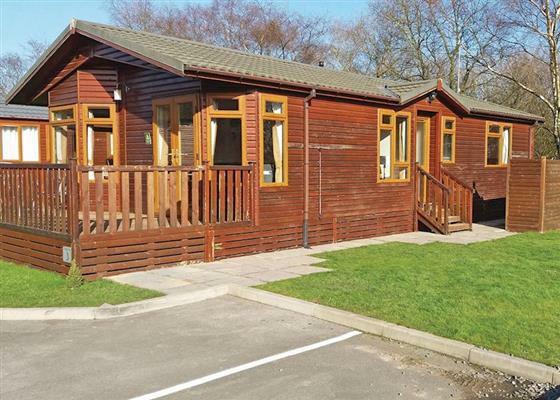 Swainswood Park in Derbyshire sleeps between 2 and 5 people, with the accommodation being lodges. Enjoying a delightful setting in the heart of the English National Park, this small, exclusive collection of luxury lodges and holiday homes is an ideal choice for families and those wishing for a romantic break. A superb base for exploring the huge array of things to see and do in this beautiful part of the country, the local area abounds with picturesque towns and villages and many family attractions. The famous race track and museum at Castle Donington, well-loved Drayton Manor, the thrilling rides of Alton Towers, Conkers Craft and Visitor Centre with its amphitheatre where shows range from Shakespeare’s plays to live bands. The Snowdome, which boasts the first indoor Ski slope with real snow is just 15 minutes drive away. Ice skating, snow boarding and tobogganing are available and the renowned Belfry golf courses number among the array of attractions nearby. Wonderful countryside walks, together with boundless opportunities for cycling, fishing, wildlife-watching and a host of outdoor pursuits, are all available in the area, or you can simply relax and pamper yourself at our Spa which offers a variety of theraputic and beauty treatments at a time convenient to you. If you want to find out what other people have said about Swainswood Park, read the reviews on Swainswood Park for more information. And, for those last minute bargains, have a look at some of the special offers available at Swainswood Park. New for 2013. 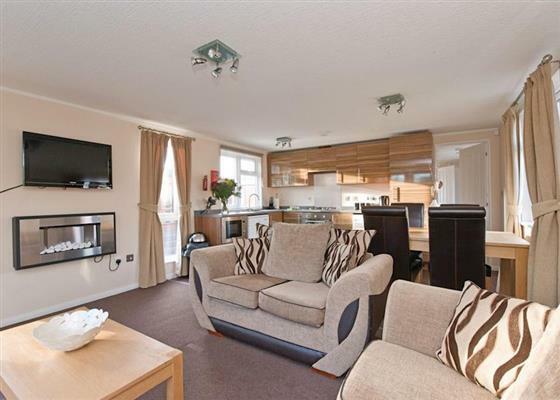 Spacious luxury lodge with one double with ensuite bath with shower over. The use of fluffy bathrobes. Extensive decking area with outdoor hot tub. Fruit and wine on arrival. Adults only. 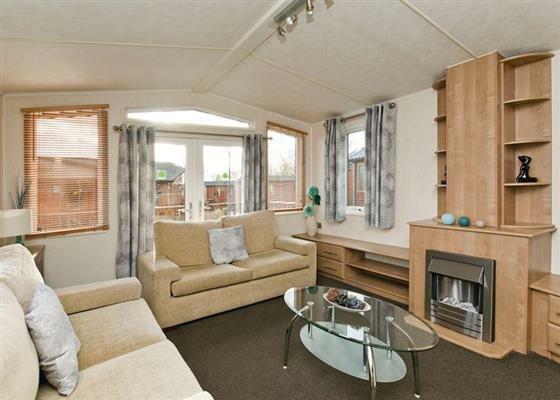 Exclusive 12ft-wide timber clad holiday home. One double and one with child size twin. Bath. Timber decking with outdoor hot tub. Exclusive and luxury lodge with one double with ensuite shower and one twin. Bath with overhead shower. Washer/dryer Outdoor hot tub. Exclusive and spacious luxury lodge with one double and one twin. Shower. Ramp access. Timber deck with outdoor hot tub. Suitable for parties including partially disabled visitors - please check when booking. "Brand new for 2011. Unique, luxurious and spacious lodge ideal for two couples. Two doubles, one with ensuite shower. Flat screen TV in bedrooms. Separate bathroom with overhead shower. Use of fluffy bath robes. Large timber decking area with outdoor hot tub. Adults only." 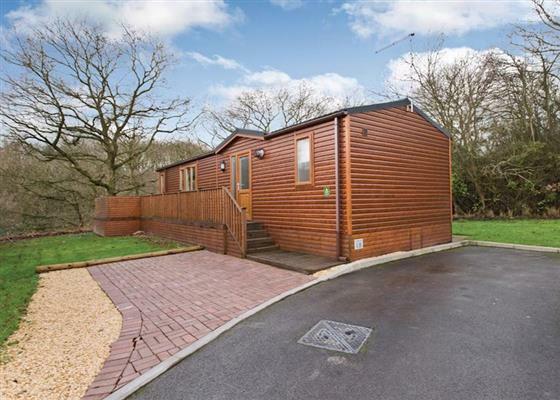 Exclusive 12ft-wide timber clad holiday home. One double with ensuite shower and/or WC and one twin. Bath with overhead shower or shower. Patio doors at the rear of the lodge leading to a large timber deck with outdoor hot tub facing into the woodland. 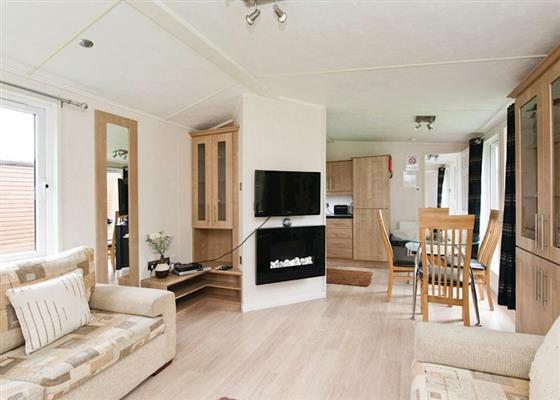 Exclusive 12ft-wide timber clad holiday home. One double with ensuite shower and/or WC and one with childsize bunk beds. Bath with overhead shower or shower. Timber deck with outdoor hot tub facing into the woodland. "Exclusive and spacious luxury lodge with either one double with ensuite shower and one twin or two doubles. One lodge has a jacuzzi bath, please check when booking. Bath with overhead shower. Timber deck with outdoor hot tub." "Brand new for 2011. Unique, luxurious and spacious lodge. One double with ensuite shower. One twin and one single. Flat screen TV in bedrooms. Separate bathroom. Use of fluffy bathrobes. Large decking area with outdoor hot tub." Find out about Swainswood Park, including prices and availability. There are 22 holiday parks within 10 miles of Swainswood Park. Honeysuckle Cottage in Matlock, Derbyshire. 26 miles. Ivy Coach House in Evesham, Worcestershire. 48 miles. Cow Shed in Lincoln, Lincolnshire, and sleeps 2 people. 46 miles. The Barn Peep O Day in Chinley, Derbyshire. 45 miles. Edge Cottage in Bakewell, Derbyshire, and sleeps 5 people. 36 miles. Paddock Cottage in Stragglethorpe, Nottinghamshire, and sleeps 4 people. 26 miles. The Moathouse in Caverswall, Staffordshire, and sleeps 12 people. 27 miles. 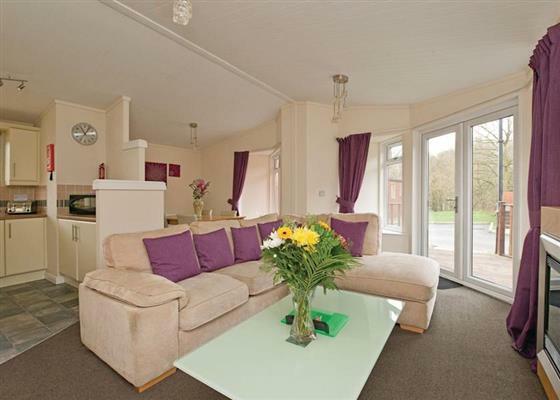 Mere Cottage in Nantwich, Cheshire, and sleeps 5 people. 44 miles. Straddlestones Cottage in Pershore, Worcestershire, and sleeps 4 people. 48 miles. Yarchester Barn in Much Wenlock, Shropshire. 44 miles. Flag Cottage in Middleton, Derbyshire, and sleeps 2 people. 24 miles. 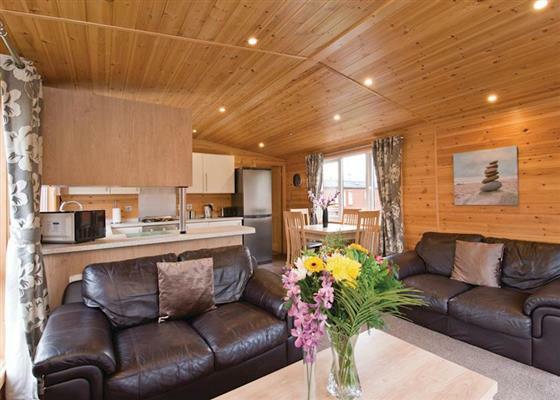 The Lodge at Cherry Trees in Chipping Campden, Gloucestershire, and sleeps 2 people. 49 miles. Sheepwalk Cottage in Bakewell, Derbyshire, and sleeps 4 people. 30 miles. Pillar Box Barn in Stock Green, Worcestershire. 41 miles. 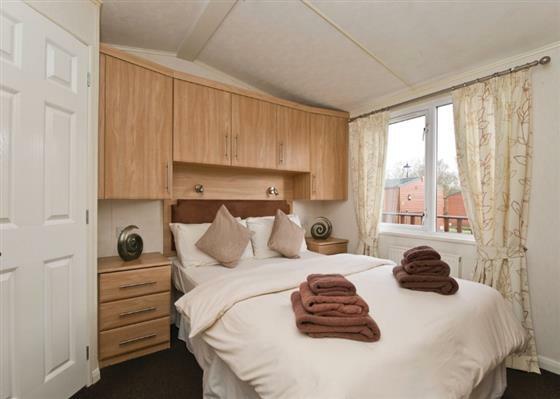 Canalside Walks in Stone, Staffordshire, and sleeps 6 people. 27 miles. Winhill Cottage in Bamford, South Yorkshire, and sleeps 4 people. 42 miles. Brookbank Farm in Holmes Chapel, Cheshire, and sleeps 16 people. 46 miles. Yelt Cottage in Ashbourne, Derbyshire, and sleeps 2 people. 21 miles. Hall Farmhouse in Newark, Nottinghamshire, and sleeps 6 people. 36 miles. Two Dales at Knockerdown Cottages in Ashbourne, Derbyshire. 22 miles. Bailey Flatt Barn in Buxton, Derbyshire, and sleeps 7 people. 37 miles. Bramble Cottage in Wirksworth, Derbyshire, and sleeps 4 people. 24 miles. Ostlers Cottage in Newark, Lincolnshire, and sleeps 4 people. 40 miles. The Water Tower in Leek, Staffordshire, and sleeps 11 people. 30 miles. West Wing in Langham, Leicestershire, and sleeps 8 people. 34 miles. Culland Mount Cottage in Ashbourne, Derbyshire, and sleeps 4 people. 14 miles. Chorlton Moss Cottage in Newcastle-under-Lyme, Staffordshire, and sleeps 6 people. 34 miles. Highcroft in Stratford-upon-Avon, Warwickshire, and sleeps 10 people. 40 miles. Wall Hill Farm in Bakewell, Derbyshire, and sleeps 10 people. 34 miles. Love Cottage in Leek, Staffordshire, and sleeps 2 people. 33 miles. Plattin Inn in Buxton, Cheshire, and sleeps 4 people. 40 miles. Roaches View Barn in Cheddleton, Staffordshire, and sleeps 6 people. 29 miles. 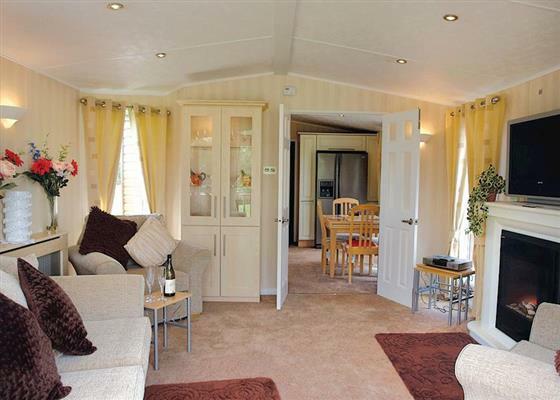 Honey Pot Lodge in Banbury, Warwickshire, and sleeps 2 people. 48 miles. The Brick Workshop in Coleshill, Warwickshire, and sleeps 2 people. 18 miles. Fenn House in Alvechurch, Worcestershire, and sleeps 8 people. 33 miles. Southview Cottage in Tideswell, Derbyshire. 39 miles. Tub Cottage in Buxton, Derbyshire, and sleeps 4 people. 37 miles. Rosehill Manor in Market Drayton, Shropshire, and sleeps 20 people. 40 miles. Morrells Wood Farm in Shrewsbury, Shropshire. 42 miles. Alcester House in Alcester, Warwickshire, and sleeps 20 people. 39 miles. Acorn Cottage in Bakewell, Derbyshire, and sleeps 8 people. 38 miles. Windycote in Leek, Staffordshire, and sleeps 6 people. 34 miles. Nine Ladies in Matlock, Derbyshire. 28 miles. Tree Tops in Bakewell, Derbyshire, and sleeps 4 people. 30 miles. Wragg Barn in Over Haddon, Derbyshire, and sleeps 8 people. 32 miles. 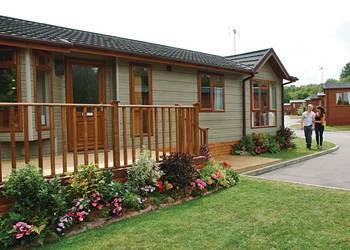 Lambley Lodge in Lowdham, Nottinghamshire, and sleeps 8 people. 29 miles. Little Bent in Leek, Staffordshire, and sleeps 7 people. 30 miles. Gratton Grange Farm Holiday Cottage in Bakewell, Derbyshire. 28 miles. 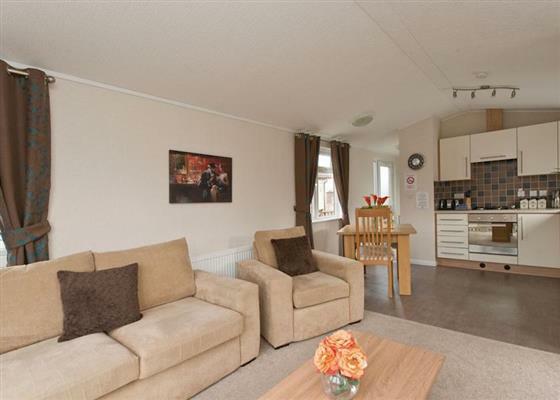 Trinity Stables in Buxton, Derbyshire, and sleeps 8 people. 38 miles. River Reach in Stratford-upon-Avon, Warwickshire, and sleeps 8 people. 38 miles. Lace Cottage in Ashbourne, Derbyshire, and sleeps 4 people. 20 miles. Sporting Heights in Clows Top, Worcestershire, and sleeps 24 people. 45 miles. Hill Farm in Melton Mowbray, Leicestershire, and sleeps 10 people. 30 miles. Bank House in Winster, Derbyshire, and sleeps 14 people. 27 miles. Harvesters Motor House in Alcester, Warwickshire, and sleeps 4 people. 37 miles. Hall Barn in Buxton, Derbyshire, and sleeps 12 people. 33 miles. 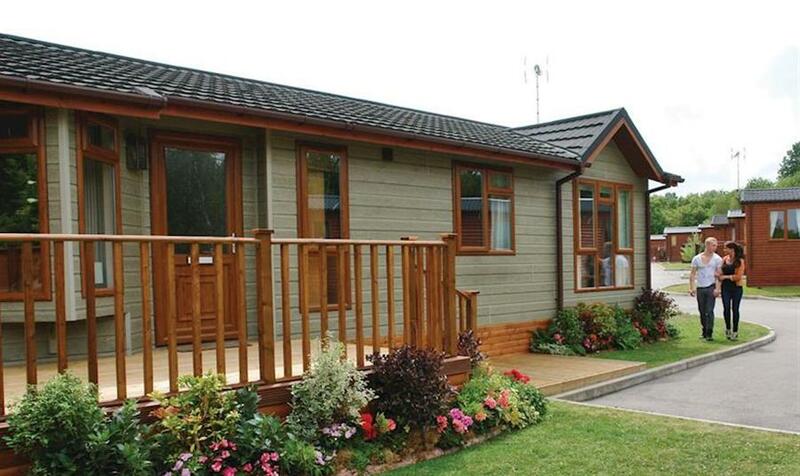 Whitton Lodge in Hardstoft, Derbyshire, and sleeps 26 people. 30 miles. Skylark View at Jackson Road in Matlock, Derbyshire, and sleeps 4 people. 27 miles. Riverbank House in Matlock, Derbyshire, and sleeps 27 people. 27 miles. Bankside Cottage in Milldale, Peak District. 25 miles. Standcliffe Mews in Crich, Peak District, and sleeps 4 people. 24 miles. Compton Guest House in Buxton, Peak District National Park, and sleeps 21 people. 38 miles. River Garden Cottage in Litton Mill, Peak District National Park, and sleeps 4 people. 36 miles. The Moathouse in Caverswall Castle, Staffordshire, and sleeps 14 people. 27 miles. Megs Cottage in Butterton, Peak District National Park, and sleeps 4 people. 28 miles.